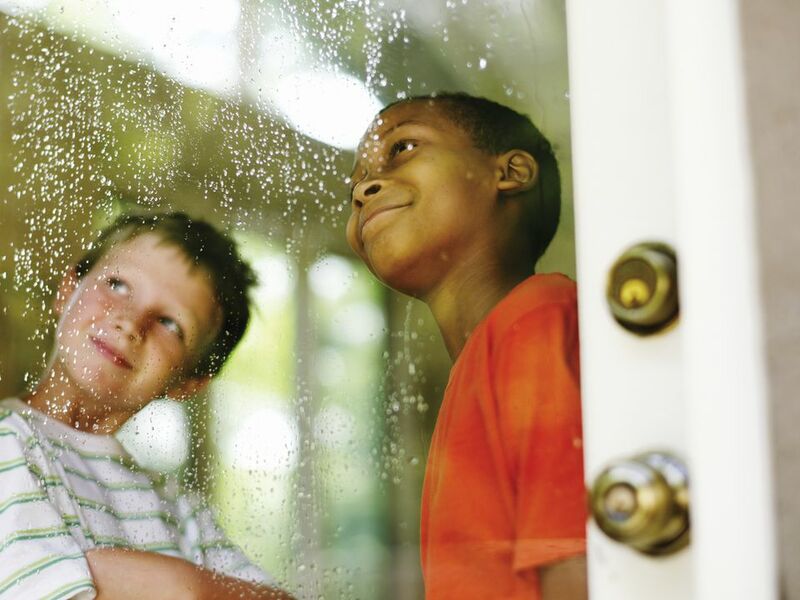 Rainy days can make anyone restless, but especially young children who have lots of energy. When it's pouring outside, make playing inside fun with these super simple craft ideas. Most of these projects use minimal equipment and a lot of the items are things you likely already have in your pantry or art supply stash (rubber bands, paper towel rolls, etc.) These easy projects may even have your kiddos crossing their fingers for another rainy day! Get sewing with a simple drawstring bag project. This is a is perfect starter project for little beginner sewers since the drawstring bag can be made in no time and is actually a useful storage item once it's made. Use a sewing machine or needle and thread for this project. This cute rainy day duck is all ready for the rain! This is the perfect project for a day inside with your kids and doesn't require any complicated materials. Aren't these Muppet rocks the cutest? They are really easy to replicate and make with your kiddos. Once it stops raining, go for a walk and hide them around your backyard or neighborhood. Easy craft alert! Take your old toilet paper rolls and turn them into these adorable paper roll zoo animals! If you keep a craft cabinet stocked, try to remember to always save toilet paper and paper towel rolls. They have endless uses and are perfect supplies for some rainy day art projects. Stick with the rainy day theme by crafting cute rainy day paper umbrellas out of pipe cleaners and cupcake liners. It's an easy no-brainer craft for your littles and will be a fun activity to pass the time. After the rain comes the rainbow! Paint colorful rainbow art with this fun project that uses the rain to make the actual rainbow. Once they have dried (and the rain has stopped), hang these colorful pictures in your home for pretty spring decorations. Turn your house into a sweet catapult zone with these DIY marshmallow catapults. They are the perfect activity for kids who love to build things. It will take kids a little time to build the catapult and then they get to use shoot marshmallows with their homemade launcher! And, you likely have all of the supplies in your home already. Use rubber bands to make a super cool print with paint. Your kids will really love this simple craft. Each print will be different and this project uses basic supplies you likely have in your house. Use a bunch of different material from around the house to make this multi-step recycled paper bead project. First, find different colored and textured paper to decorate, then create your custom beads, and finally get stringing. Make necklaces, keychains, bracelets, earrings, and more.